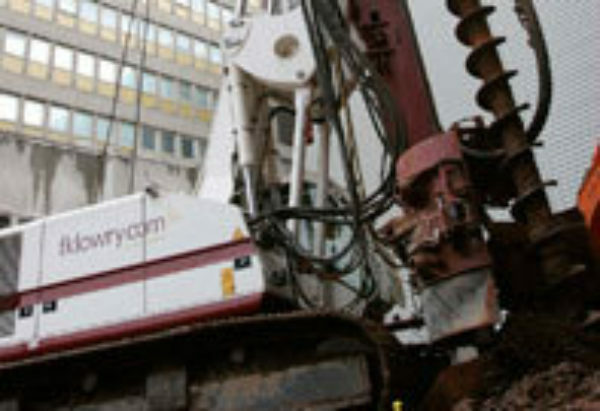 FK Lowry Piling completed the design and installation of the piling for a new Sainsbury’s store for Barr Construction in Strathaven. The works consisted of installing 89no 450mm diameter CFA bearing piles designed in-house to carry various compression, tension and shear loadings. Piles were installed using a high torque Soilmec SR70 piling rig in CFA mode, drilling piles into underlying weathered basalt.